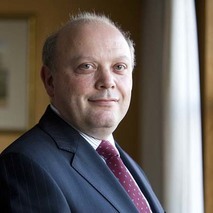 In his final column as Chief Inspector, Steve Field provides an update on our approach to regulating general practice, CQC's expectations and requirements surrounding the new intercollegiate guidance on safeguarding and shares his final thoughts in a farewell message. 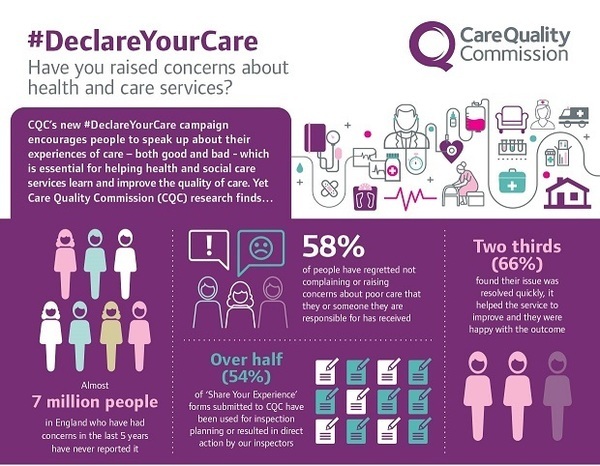 We've launched our #DeclareYourCare campaign, a year-long campaign encouraging people to share their experiences of care with us – not just poor care, but good care too! New research we commissioned shows people regret not raising concerns about their care – but those who do raise concerns see improvements. We are now focusing on how we can better support people with a long-term condition to share their experiences. You can keep up-to-date with our campaign by visiting our website for more information and by following us on Twitter @CQCProf. We are looking for you to support people to share their experiences of care and have developed some resources to help you do that - you can find these in our Declare Your Care stakeholder toolkit. Greater transparency for the public. Providers will not lose any existing ratings for their locations. CQC can take a more proportionate and efficient approach to inspecting after a change of registration. This change will come into effect from 1 April 2019 and will apply to all registration applications completed on or after this date. We consulted on this work in our second next phase consultation and continued to work in coproduction with providers, the public and other key stakeholders to develop this approach, including in the development of guidance for providers. This will be available on our website from next month. Keep a look out in the next issue of our bulletin for more information. You can find our updated mythbusters and tips for general practice and dentistry by following the links. They are designed to help providers with the CQC inspection process and share agreed guidance and best practice. This month we have updated mythbusters on vaccine storage and fridges to include information on data loggers, alarm systems and a link to the 'Green Book'. In order to reflect the changes within CQC and the wider health and social care system over the last four years, we have updated our human rights approach to regulation. Our new priorities include applying this new approach to our work at local level and empowering staff to consider human rights in their work. In our annual report to Parliament on how health services in England are applying the Mental Health Act, we point to overall improvement, but continue to have concerns about the quality and safety of mental health wards. The RCGP, in partnership with the terminal illness charity Marie Curie, announced that GP surgeries will be able to “display a ‘daffodil mark’ as a sign of commitment to improving end of life care.” The mark is based on a new set of criteria called the Daffodil Standards “designed to support primary care teams in delivering care to patients". Department of Health and Social Care has updated its code of conduct for data-driven health and care technology. The code sets out the behaviours expected from those developing, deploying and using data-driven technologies. The Ministry of Justice has announced the appointment of Dr Jo Farrar as the new Chief Executive of HM Prison and Probation Service (HMPPS). Jo Farrar will take up the post on 1 April 2019. CQC have recently confirmed registration requirements for tongue-tie procedures. Where ‘frenulotomy’ is carried on by, or under the supervision of a healthcare professional, it is the Regulated Activity ‘surgical procedures’. This is because it involves the surgical cutting and using an instrument to divide the lingual frenulum. It is not the Registered Activity ‘maternity and midwifery services’, even when it is carried out by a midwife. There have been requests that individuals may continue to perform frenulotomy while any necessary applications for registration are made and determined, however CQC does not have the power to grant this. Registration with CQC is a statutory obligation for all those wanting to carry on a Regulated Activity. Did this bulletin work for you?